Producing roughly 20-plus animated feature films every year beginning in 1985 when it was founded, North Korea’s April 26 Children’s Film Production House is probably the world’s largest studio with a staff of more than 1,500. It was about the same time that the state-run production company began to produce cartoons for European studios, and recently this cooperation has risen manifold resulting in subcontracted work even for America’s Disney Studios, including such films as Lion King and Pocahontas. 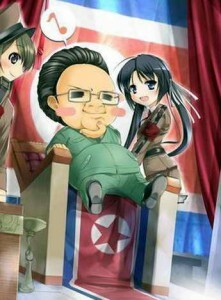 Although the technical skills and artistic talent of North Korean animators have been widely recognized, at least in the international filmmaking circles, the rich legacy of North Korean animation produced for the domestic market has long been dismissed as unsuitable for Western audiences owing, primarily, to its allegedly ideological thrust and tendentiousness. Often this assumption was extended by analogy from the perceived character of socialist cinema, in general. As a result, North Korean animation has been cast into an international vacuum. In this paper, I do not intend to argue that animation, and North Korean animation in particular, is devoid of any ideology per se. In fact, I will show by introducing the earlier discourse of film theoreticians that the very nature of motion pictures is always to a certain extent ideological. However, through a close reading of programmatic articles on cartoon production published in the North Korean film journals from 1986 to 1997 and analysis of exemplary animated feature films, I hope to show that despite the stated goals of jucheization, promotion of the party line and fostering of a new type of a communist man, the dominant ideology has, in fact, been largely traditional in essence. I will attempt to look at the theoretical premises and practice of North Korean animated filmmaking from the vantage point of the traditional Neo-Confucian philosophy which was an official ideology of the Choson Korea (1392-1910). I also hope to demonstrate that North Korean animation has likewise embraced some ideas of the 19th century Practical Learning (Sirhak) school, as well as incorporated the influences of modernity. I will suggest that we think of the messages in some North Korean cartoons which we would otherwise tend to regard as embodying allegedly communist ideology, such as the uncompromising struggle against class enemies, in terms of the orthodoxy vs. heterodoxy dichotomous framework of Korean Confucian mentality. My analysis intends to illuminate that the largely ignored North Korean animation has in reality achieved a high caliber of artistic merit, educational value and philosophical depth. It is precisely the canons of North Korean animated filmmaking that are responsible for its widely commended artistic excellence. In conclusion, I go further to suggest that North Korean cartoons have a far-reaching effect beyond instilling the ideas of Confucian propriety into the North Korean children. They also offer an escape to viewers of all ages from the press of the state ideological machine.